Pulse 2 adds Christopher Biggins to the Pulse 2 line up...well, sort of! Biggins plays Widow Twankey in Aladdin at The Alhambra Bradford from (8th December) and whilst in rehearsals he popped into Pulse 2 to present his own 1 hour special. Christopher Biggins took over the Pulse 2 radio waves to share his favourite moments (and songs) from stage and screen. Talking Porridge, Poldark and I'm A Celeb, Biggins picks out some of his most memorable moments in Showbiz and drops a few BIG names in the process! 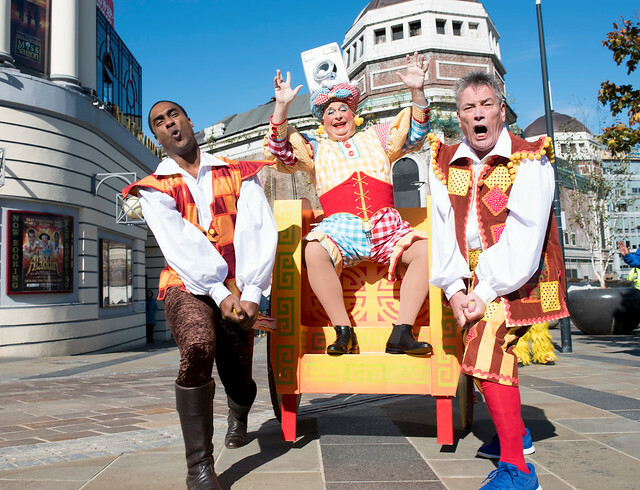 Plus find out why Biggins is apprehensive about Boxing Day Panto performances, his favourite Christmas food and what it's like to be back in Bradford 30 years since his last panto here.